There's a lot of gadgets and gizmos on the market today for shooters of all types. That includes accessories that make using a Canon camera system a more enjoyable and productive experience. The question is, what accessories are in the "must-have" category? 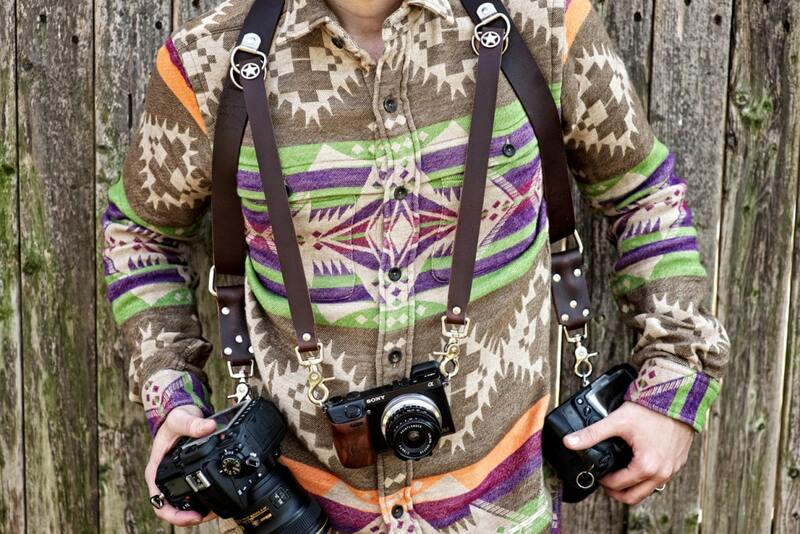 But I've narrowed the list down to five accessories that I think every Canon shooter needs. One thing that pretty much all photographers can agree on (regardless of the camera system they use) is that the camera straps that come with cameras are just plain bad. Not only are they thin and flimsy, but they are uncomfortable too. If you have a Canon camera, the MoneyMaker is an absolute must-have because it will revolutionize the way you work. 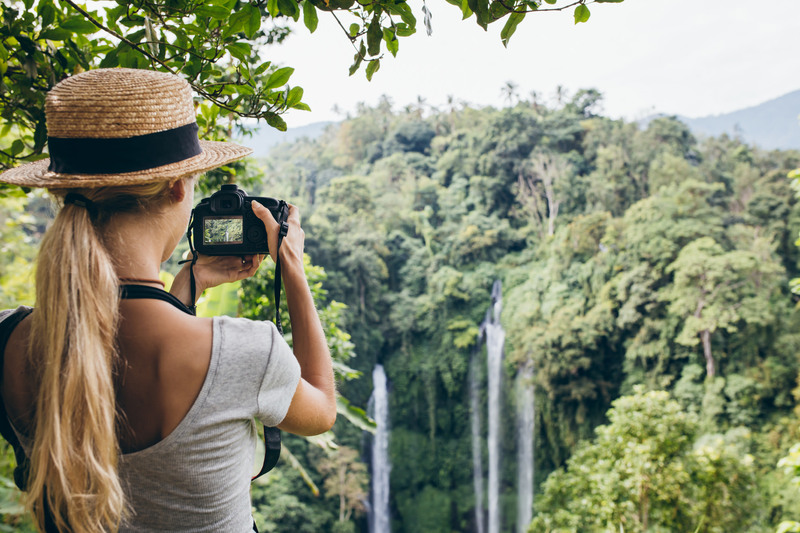 Think about it - instead of carrying your camera on your shoulder and having it bounce around as you move, you can use the MoneyMaker to securely carry it right at your fingertips. Not only is that a more secure way to carry your Canon camera, but it's also more efficient because you can quickly and easily raise the camera to your eye to take the shot. 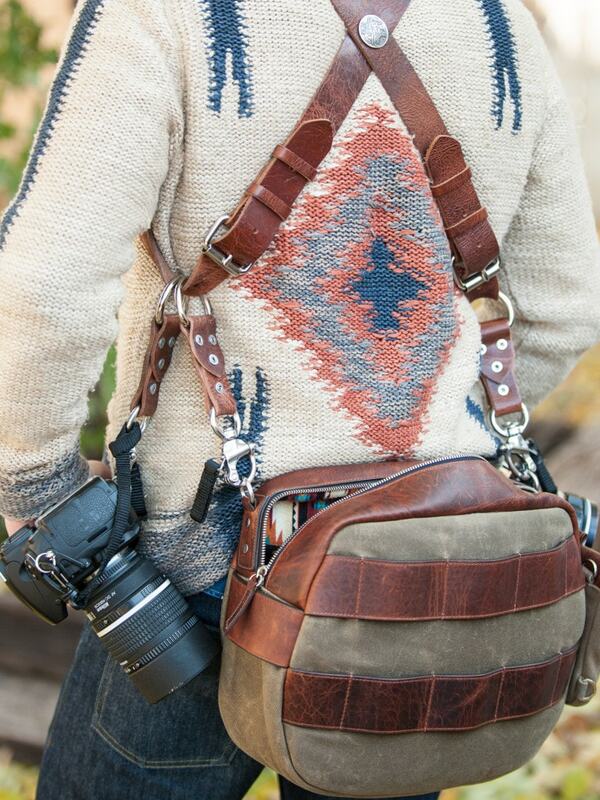 What's more, you can carry multiple cameras - up to three, in fact - given the right MoneyMaker setup. You can also add pouches and bags to the MoneyMaker for even more carrying capacity. And if you're thinking "Gee that sounds uncomfortable," it's not. That's because the MoneyMaker is made to distribute the load across both shoulders and your back for the utmost comfort. In other words, the MoneyMaker is comfortable, durable, versatile, and it looks really stinking good too! As far as tripods go, Sirui has a reputation for building strong yet lightweight and compact tripods that you can take from a portrait session in the country to an architecture shoot in the city and everywhere in between. The T-2205X is one such tripod, with a height of nearly 57 inches for easy eye-level viewing for many shooters. Better still, when you're ready to pack up and head to the next shoot, the T-2205X folds down to a mere 14.6 inches long for easy carrying. And since it weighs barely over 2.5 pounds, you won't feel like a pack mule carrying it around, either. With a 26.5-pound carrying capacity, it's ideal for use with any number of Canon cameras, be that a small point and shoot or a full frame DSLR with a long telephoto lens attached. That combination of good carrying capacity and being lightweight is made possible by its 8x carbon fiber construction. 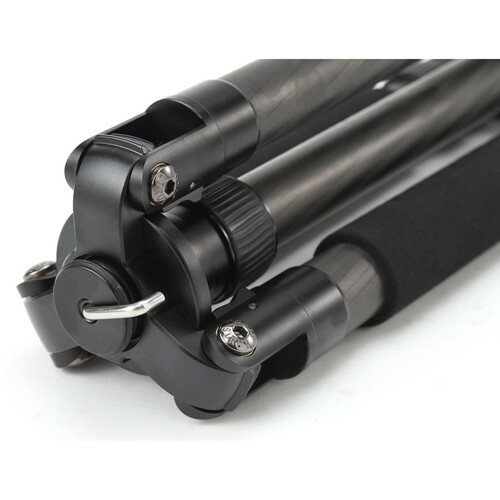 This tripod is also thoughtfully designed with a short center column. That means you can get close to the ground for low-angle shots. In fact, you can get as low as 5.3-inches above the ground! Add in retractable foot spikes for stability on uneven terrain, a center column hook to add ballast on windy days, and corrosion and wear resistance, and you have the makings for an ideal tripod for just about any Canon shooter. 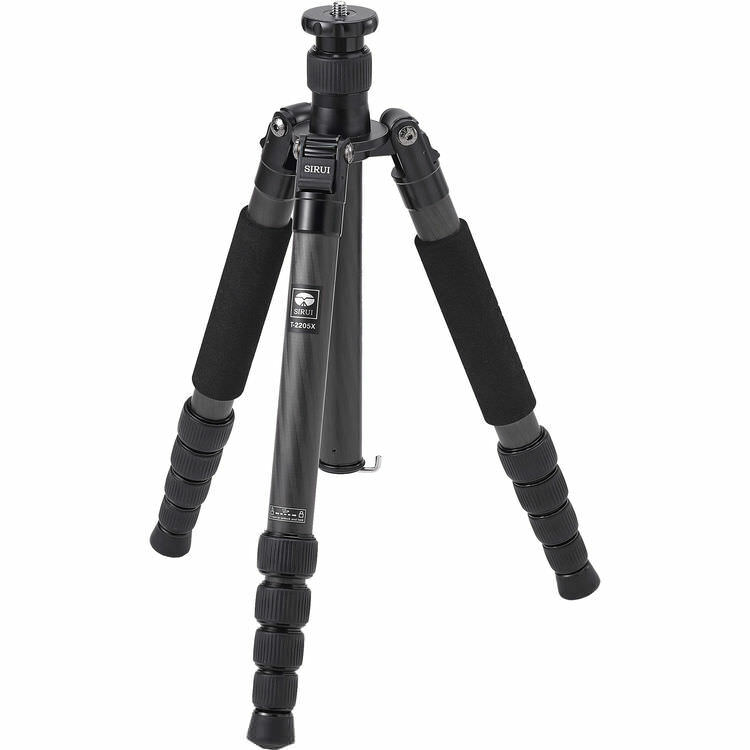 Learn more about the Sirui T-2205X tripod. Everyone needs a good prime lens in their camera bag, and fortunately, Canon shooters have quite a few excellent primes available to them. If you ask me, it's hard to beat the Canon 50mm f/1.8 STM as a top choice for a prime lens in your bag. This little guy is the ideal combination of performance and price, getting you excellent sharpness, a large aperture for low-light shooting and nice, blurry backgrounds at a price around $125.00. 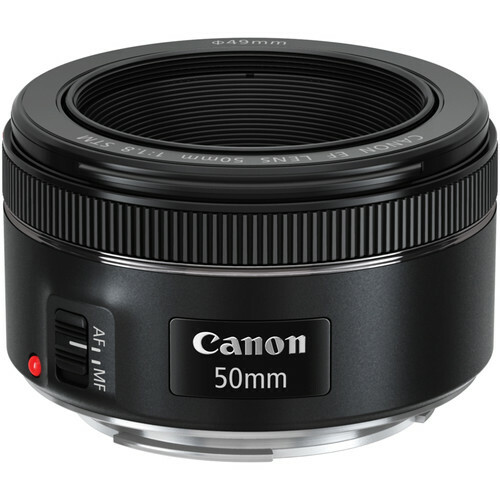 If you have a much larger budget, a step up would be the Canon 50mm f/1.2 L. As a member of Canon's luxury line, you can really feel the difference in build quality between it and the 50mm f/1.8. At f/1.2, you have even greater flexibility for shooting in difficult lighting conditions and shooting handheld. However, that comes at a price. Nevertheless, if you're a Canon shooter and you don't yet have a prime lens in your bag, I'd strongly consider one of these lenses as your first prime lens purchase. Learn more about the Canon 50mm f/1.8 STM lens. Though zooms don't offer the same level of sharpness and detail of prime lenses, there's something to be said for their extreme versatility. Again, Canon shooters have plenty of choices when it comes to zoom lenses, and one that stands out above the rest is the excellent Canon EF 70-200mm f/4 L.
Like the 50mm f/1.2 L discussed earlier, the 70-200mm f/4 L is part of Canon's luxury line. However, this lens is actually very affordably priced, making it a great buy for amateur shooters that want a top-notch lens. With the wide focal range offered by this lens, you can work in short to long telephoto situations. That's helpful for everything from sports photography to nature and wildlife photography to landscape photography. 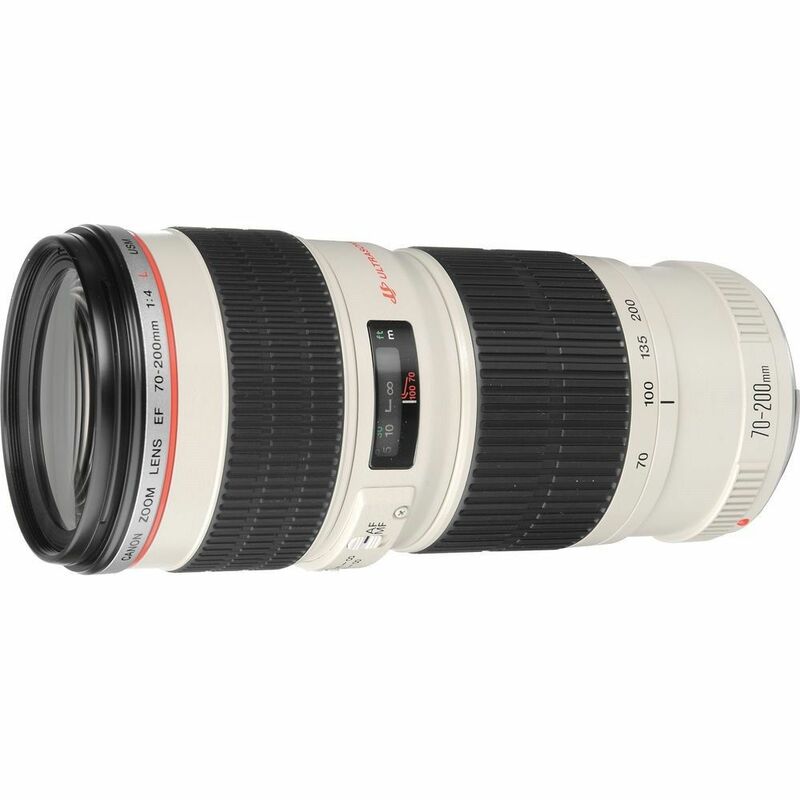 See a video review of this lens below from Christopher Frost Photography. If you don't need quite that much zooming power, another good choice is the Sigma 18-35mm f/1.8 DC HSM. With a range from wide-angle to standard, this lens is an ideal replacement for your kit lens. At f/1.8, this lens has a large maximum aperture for low-light shooting and produces images that have excellent color rendition and contrast. Learn more about the Canon EF 70-200mm f/4 L.
Having all the great accessories listed above won't really matter if the images you take are subpar due to a dirty lens or mirror. 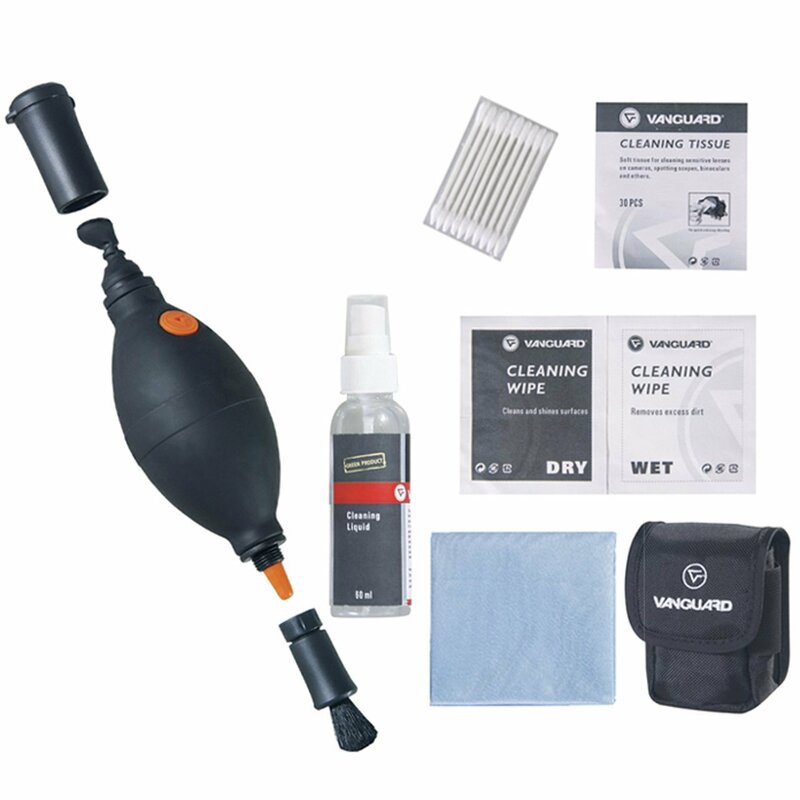 The Vanguard CK6N1 6-In-1 Cleaning Kit comes with everything you need, including an air blower and brush, a microfiber cloth, cleaning solution, and both dry and wet cleaning wipes. Use it in the field when dust, rain, and other environmental elements get your gear dirty. You can also use it at home for more thorough cleaning sessions. Since it fits easily into any camera bag, there's really no excuse to keep shooting with dirty gear! Learn more about the Vanguard CK6N1 6-In-1 Cleaning Kit.